July 20, 2014: The last Sunday in Colorado, we made a round trip drive along Trail Ridge Road from Estes Park to Grand Lake. 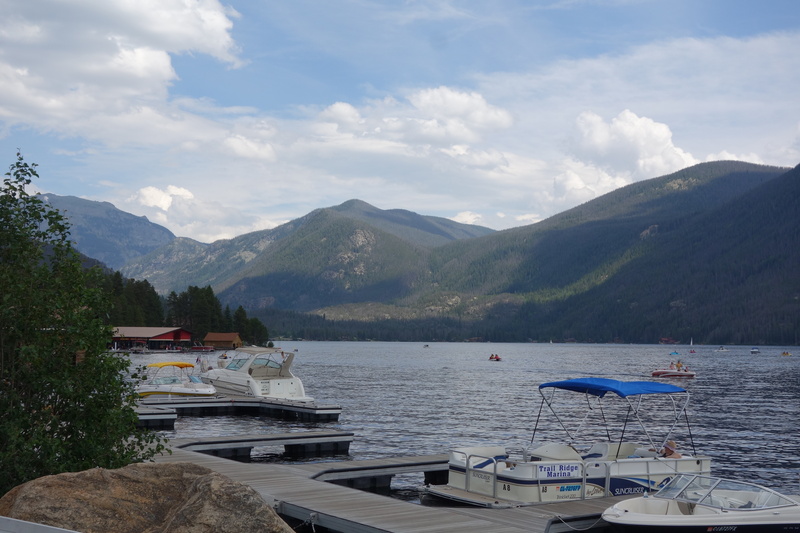 Grand Lake – elevation 8,367 feet; formed by glaciation 30,000 years ago; estimated depth, 265 feet. 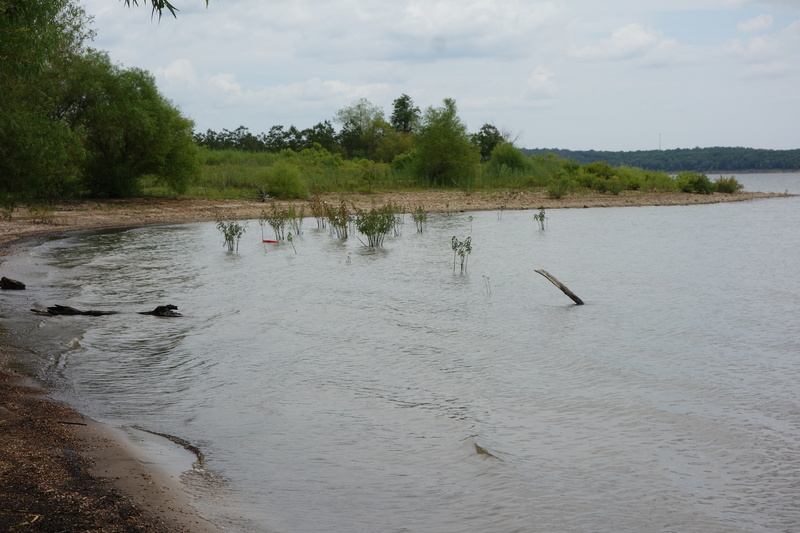 July 27, 2014: Back home in Missouri, we made a Sunday drive to the Warsaw area and Truman Dam and Reservoir. Truman Reservoir – elevation 706 feet; formed by the Corps of Engineers in 1979; average depth 22 feet. Mountain lakes are commemorated in paintings, promoted on postcards and praised in poems. One could draw the conclusion that in areas of high relief, lakes are more successful. Even artificial lakes built for both flood control and hydropower purposes are more effective in mountainous areas. Blocking prairie streams with relatively gentle relief – like the Osage and South Grand rivers – creates inefficient flood storage and minimal hydropower possibilities. One would think the Corps of Engineers would have realized this. Actually – they probably did, but they were being incentivized by construction companies and encouraged by delusional local advocates and politicians. Today they would never undertake a marginal project like Truman Dam and Reservoir. Lessons have been learned … at least we like to think so!